Very nicely presented one bedroom apartment with distant sea views. 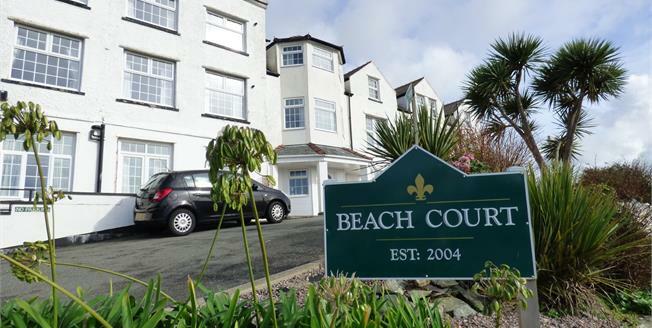 Beach Court is a purpose built block of Apartments converted in approximately 2005 and are well positioned for those looking for an investment opportunity. Apartment 3 briefly comprises of one double bedroom, a spacious kitchen/living area and bathroom. The property also affords allocated parking for one vehicle. UPVC French double glazed door. Double glazed uPVC window. Radiator, spotlights and ceiling light. Fitted units, stainless steel sink and single sink, electric oven, gas hob, space for slimline dishwasher, integrated space for washing machine, fridge/freezer. Double glazed uPVC window with frosted glass. Heated towel rail, spotlights. Standard WC, panelled bath, thermostatic shower, wall-mounted sink, extractor fan.